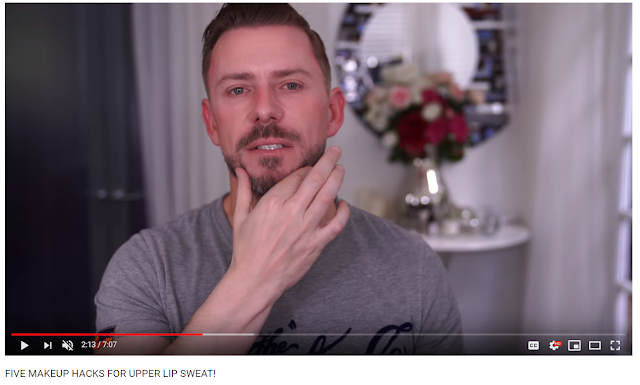 I still remember my first ever beauty video on Youtube. It was Michelle Phan's Barbie makeup tutorial. Back then I knew nothing about makeup and only own a compact powder and a colorless lip balm. My friend showed me the video and I was totally hooked. I watched each and every single video by Michelle Phan after that and here I am now, owning a beauty blog. Thank you Michelle Phan, you're always the number one in my heart! But now that she is retired as a beauty vlogger, I have moved on to some other beauty youtubers. Not a lot of them are trustworthy considering Youtube is a great place to make money, therefore a lot of reviews can be biased or just merely out of sponsorship. I have no problem with sponsorships, I think they are completely fine. I mean, you gotta make money to survive anyway, and being a youtuber is really not easy at all, so I have really high respect for people who have make it as their full time job. Above all, integrity is where the line is set. She is the most trustworthy person that I go to when it comes to makeup reviews. She is brutally honest with her reviews and therefore she sometimes get backlashes from people and companies, but hey! It's not called a review if you only have nice things to say. If your product is crap, she's gonna say it's crap, with justifications. And so far, I completely agree with her reviews comparing to my own experiences with products. I also love the fact that she is up to try every makeup brands as much as possible, from the most affordable wet & wild to the most boujee brands like Lamer. From Western to K-Beauty, she got it all covered. She literally post every single day too! I can't believe the amount of dedication and hard work she put onto her channel. I also feel like Kathleen is one of the most genuine youtubers with her makeup and skincare reviews. I have found a lot of my favorite makeup products through her recommendation so I can totally tell ya you can believe her. A lot of them are from drugstore too so that is a steal! 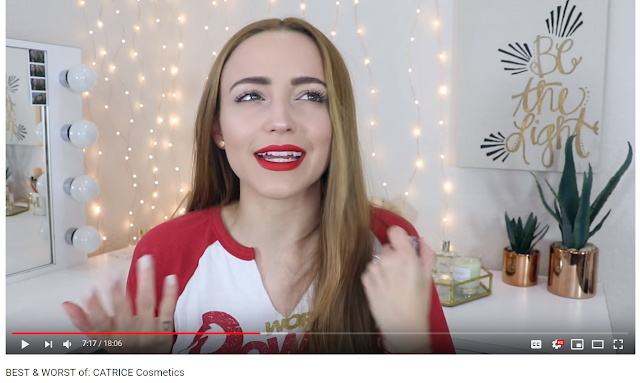 She loves a lot of afforfable products like Colorpop, Physicians Formula, Elf, so her channel is very good for my pocket currently as a student lol! 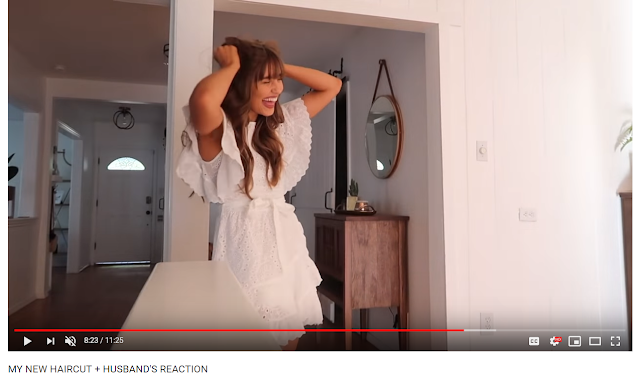 Most importantly, she is so random and cute it is very interesting to watch her reactions to products haha. Her makeup skill is on another level. She really knows what she is doing and it is always more about techniques and skills than products itself. I learned a lot of korean style makeup from her and she is one truly talented artist I have to say. The result of her makeup tutorials are always looking so perfect and on point that you just wanna recreate the look after watching, and so far, I have failed miserably a lot of times hahaha. And because she is so great with her techniques, if I see her using a certain products for certain makeup look, I know I must have it too, lol. She sold me a lot of products hehe. Sunny got two channels, Sunnydahye and SunnydahyeIn. She is a korean that can speak Indonesian language, and lately she has been focusing more on her Indo channel but I am not complaining! That is because I am a Malay, and Malay and Indo language are similar so I have no trouble understanding her. Her videos are very entertaining and she is super adorable and funny. 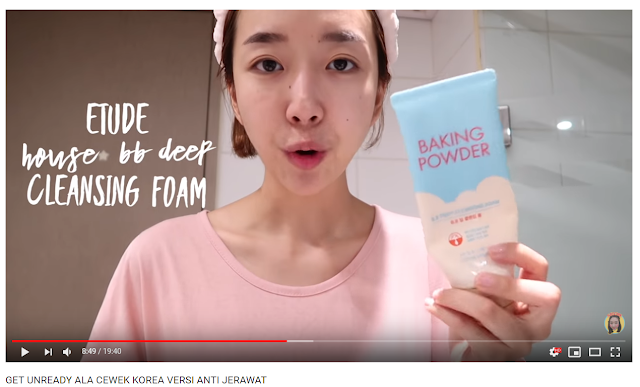 I watch her mostly for her korean beauty reviews, and because she sometimes have great recommendations for Indonesian weather, which is similar to Malaysian weather, I NEED TO WATCH HER. 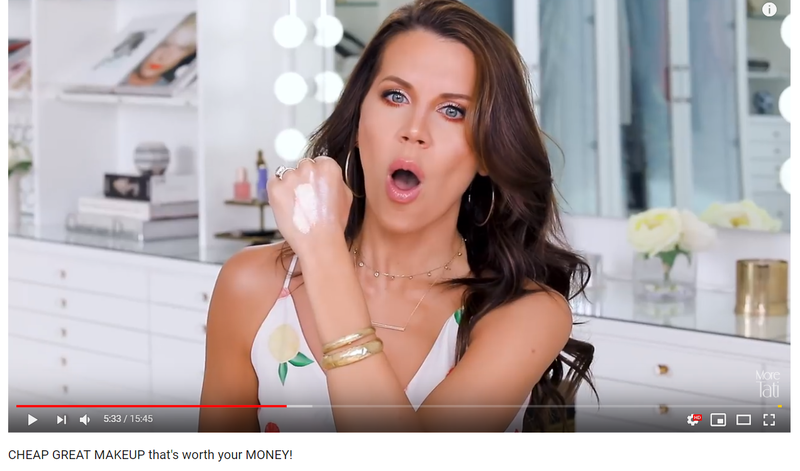 A lot of our local youtubers do videos about makeup, which I have watched a lot from western youtubers anyway so I watch Sunny for skincare benefits. Morgan's channel is where I refer to the most when it comes to comparing makeup products. She is super detail and hardworking with her comparison and review videos it feels like an investigation lol. 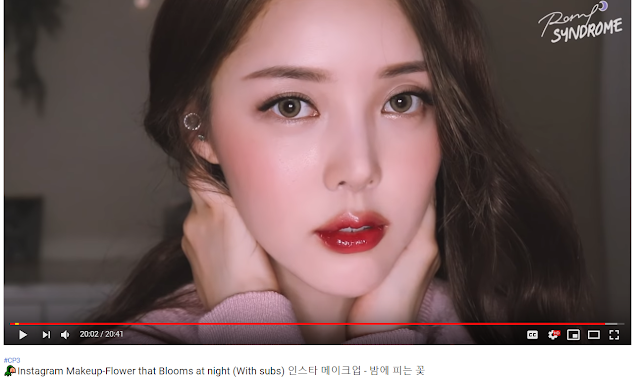 She does more videos on K-Beauty so if I am feeling indecisive about choosing a cushion foundation, beauty blenders or sleeping masks, her channel is where i go to. She always does super close ups to her skin so that you can see every details on how the product is working. And don't let me start with her skin....She is a glowing goddess. Her skin is so perfect it looks like porcelain! No pores and literally glowing. Such a beauty. 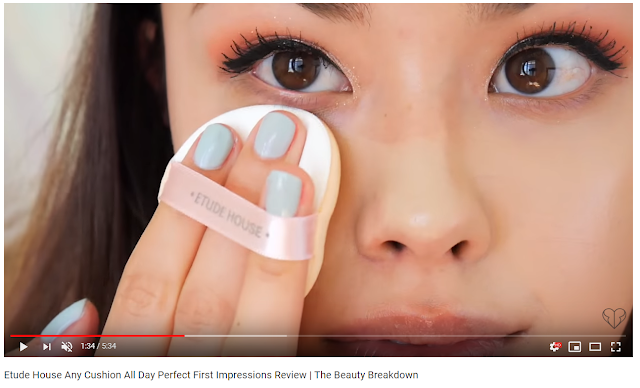 I have watched her since high school, about some time after discovering Michelle Phan. That is almost 10 years that I have been following her. Before she even got married, and not she has got 2 children! Wow how time flies. She post more on her vlog channel now compared to her beauty channel, but I still watch all of her beauty videos. 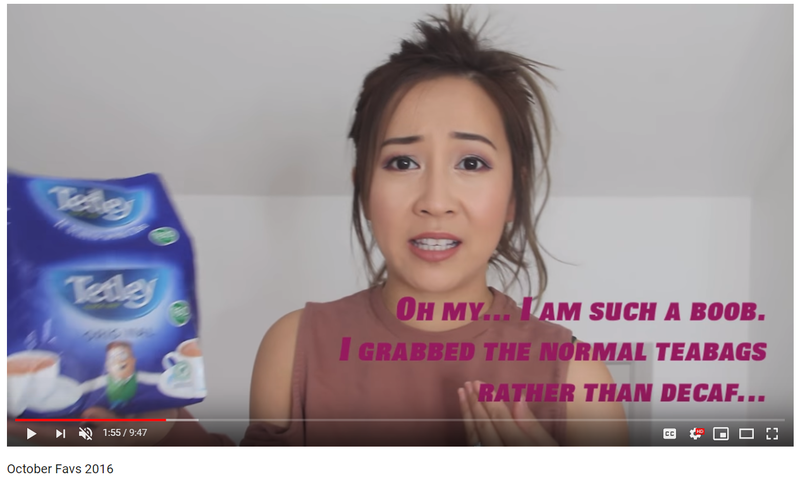 She is one of the youtubers that I have no problem trusting. But most importantly, I love her for her positivism and she always gives good advises. One of my personal favorite quotes that have come out from her mouth is : "Tea is meant to be consumed, and not spilled." She was actually talking about the Youtube drama that was going on between Jeffree Star and those people you know whos. I gotta admit, I do not watch her for her beauty videos, but i watch her videos for her being her! I love her so much that I just need to include her in this post. She is the cutest, most adorable, genuine little creature you will ever see lol. She is like a little kid trapped in an adult body. So pure and innocent. I love watching her house decorating videos, but she do upload beauty videos too if you're interested in that department. And her relationship with her husband? Ugh, to die for. They are the cutest couple I swear. Been following them since they were dating and I literally cried when they got married hahaha. And those are my top list of beauty youtubers! You must be wondering, where is Jeffree Star or Nickitutorials? Well, I do subscribe them, but I don't watch them as much because I prefer shorter videos. Jeffree's and Nicki's videos are too long for me and even if I do watch them, I'll skip a lot lol. Still love them though! A lot of my friends and family members keep asking me to start up my own youtube channel, but honestly, I am just not feeling it yet. I don't like to expose myself too much in public, but I still love sharing my experiences and thoughts so blogging is perfect for me for the time being. Maybe someday I'll consider Youtube? Maybe, who knows what the future has for me hehe. But yeah for now, I love blogging! I hope you guys love reading my posts too :D Till then, byebye and have a good day!